Sometimes Berlin bars can get a bit 'too cool for school'...not so at Green Mango... Everyone is welcome and the main goal of the night is to party and have a good time. If karaoke is your thing, they have a huge selection of songs to choose from and the crowd are really supportive, even if you fail to hit the high notes that Mr Freddie Mercury does. If dancing is what you are after, they have a great pumping dance floor with DJs playing a wide variety of tracks and they also have a well stocked bar with great priced drinks. 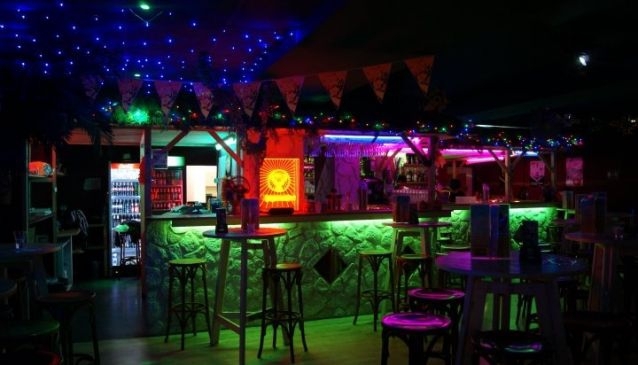 If you are into pumping techno or drum and bass you should probably look elsewhere, but if you want to have a great time with a bunch of cool people, then you should definitely check out the Green Mango located in Schöneberg, just 20 minutes from the centre of Berlin.